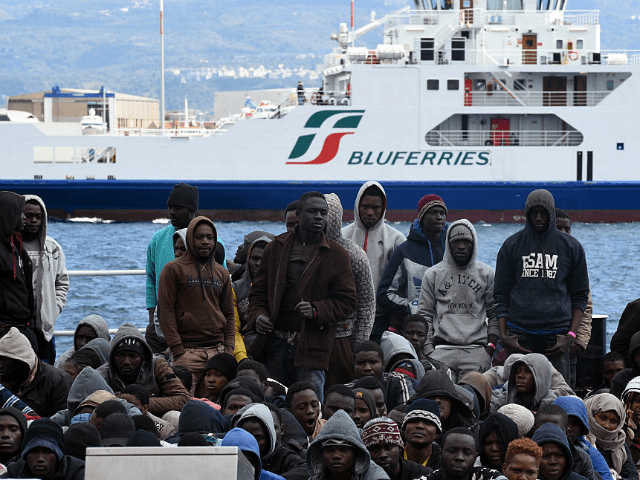 The majority of third world-origin migrants living in Italy suffer from mental disorders which make them prone to “aggressive behaviour” and “psychotic episodes”, according to a study by psychologists. Research into the mental health of asylum seekers living in the Padua, northern Italy, found that 54 per cent of those sampled showed “obvious symptoms” of post-traumatic stress disorder (PTSD), local media reports. “What emerged from our investigation is the high level of trauma and discomfort we found among asylum seekers, and this suffering forms the basis of anti-social attitudes”, explained researcher and journalist Cristiano Draghi, reporting that the majority of migrants hailed from “Nigeria, the Gambia, Ivory Coast and Guinea”. Laura Baccaro, chair of Street Psychologists — the Padua-based nonprofit which carried out the study alongside Draghi — said the purpose of the research was to understand mental health problems suffered by asylum seekers and to recommend ways in which these can be dealt with by housing associations hosting migrants in Italy. “Investigating asylum seekers, we found most of them to be showing symptoms of an extremely serious disorder that inevitably becomes fertile terrain for aggressive attitudes that then lead to problems such as refusal to integrate,” she said. In “serious cases”, Baccaro said that PTSD among migrants can pose “a real danger to society”, adding: “These are symptoms which, left untreated, can lead to psychotic episodes and severe maladaptation. “As a result, the seriousness of our findings cannot be underestimated and the problems must be tackled,” said the psychologist, whose study will be presented in an official capacity at the Ciels University Campus in Padua on Friday. Last year, Breitbart London reported on a study published by the British Medical Journal (BMJ) which showed that migrants living in Sweden exhibit signs of schizophrenia, depression, and suffer from psychotic episodes at far higher rates than their Swedish counterparts. Writing last October after a scientist was stabbed to death outside his home in London by a mentally ill asylum seeker from Somalia, UCL psychologist Dr. James Thompson said it was “all too common” that people who murder strangers while suffering psychotic episodes are of African descent. While countless studies report the existence of mental health disparities between ethnic groups, Prime Minister Theresa May announced plans to “rip up” the Mental Health Act earlier this year on the basis that black people are detained more frequently under the legislation than people from other ethnic backgrounds. “It is abundantly clear to me that the discriminatory use of [Britain’s Mental Health Act]” is behind figures which showed black men were six times more likely to be sectioned as inpatients, the Prime Minister claimed.